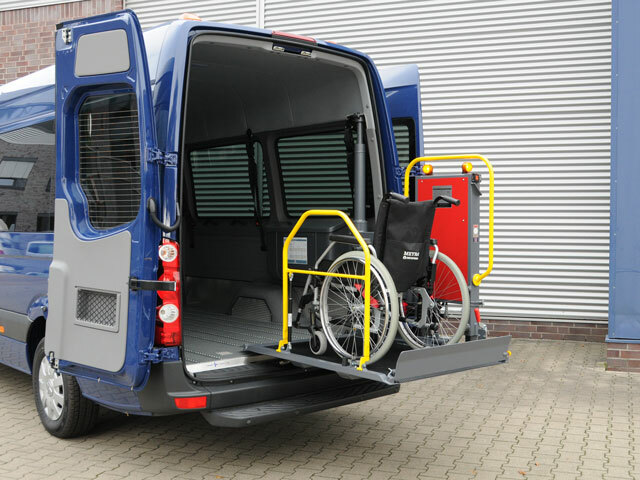 The BSL 350 swivel lift requires little space behind the vehicle, since it can be accessed directly from the pavement. 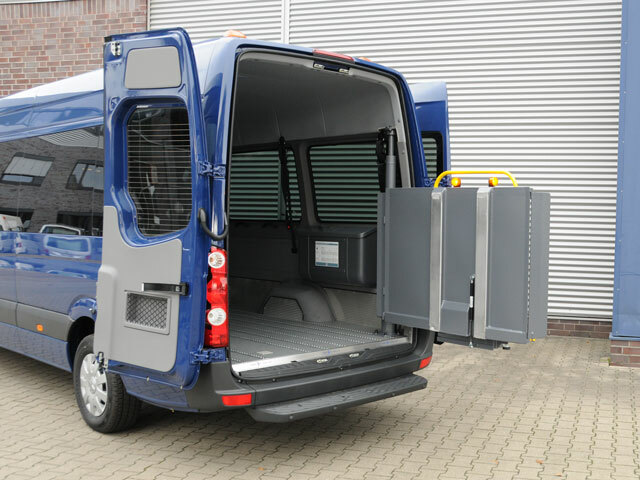 This allows it to be swung in and out even in tight traffic conditions. 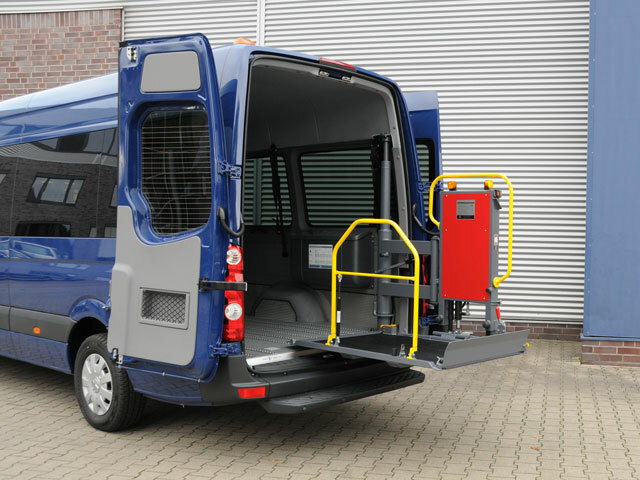 The BSL 350 can be swivelled through 90° twice, so that the lowering and lifting of the platform takes place away from the edge of the vehicle. 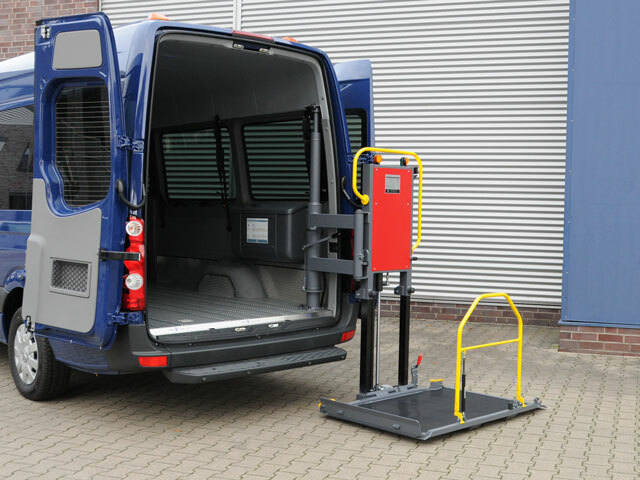 The platform of this sturdy and durable swivel lift is powered hydraulically, with the lowering operation being carried out under its own weight. 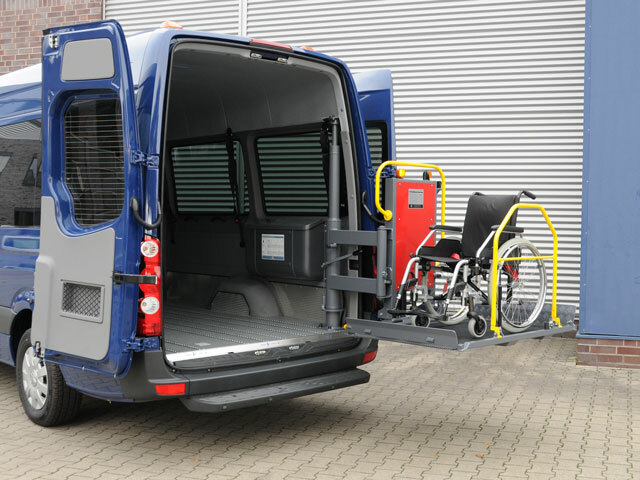 The wheelchair user is perfectly secured thanks to the two roll-off safety barriers and the hand rail. 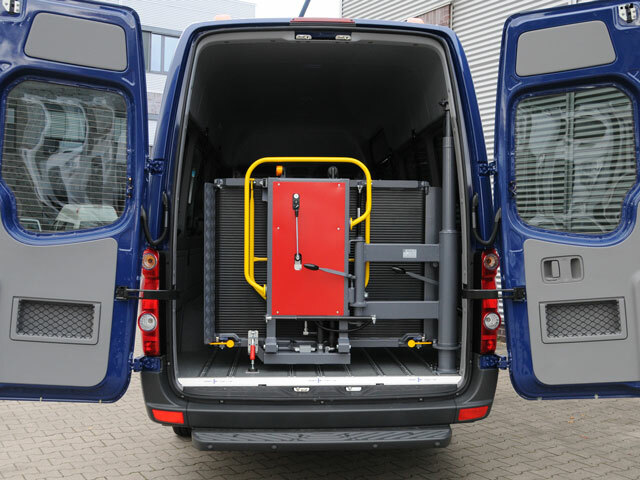 When folded, the swivel lift saves space and requires an installation depth in the passenger compartment of only about 30 cm. 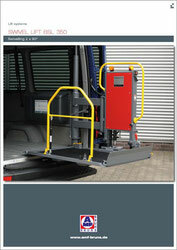 The BSL 350 is the classic of the AMF-Bruns product range and can look back proudly at a track record of over 40 years.